In the front of the old Waterbury High School, now called the Thatcher Brook Primary Union School District. * Literally: "It is sweet and honorable to die for the fatherland." 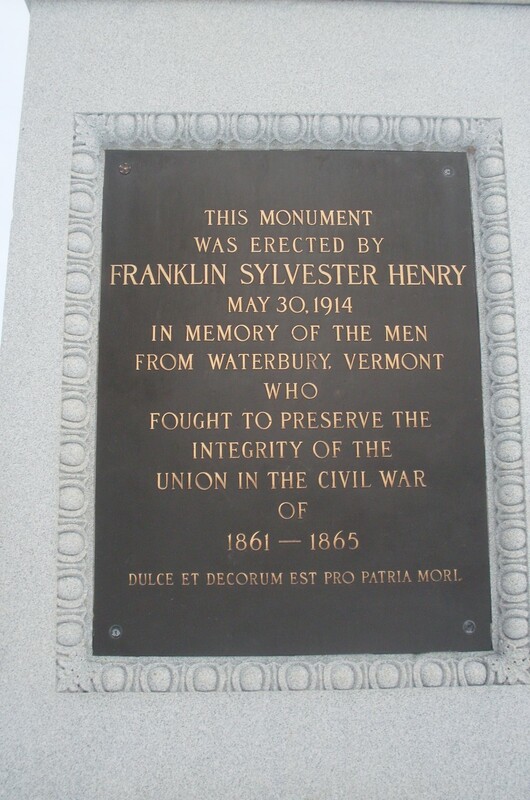 "Mr. Henry's love for Waterbury was an inheritance from generations running back to the time of the settlement of the town, strengthened and developed by early associations and later by his military service with the companions of his boyhood. It also was prepetuated through friendships, old and new, resulting from family and social relations which he sustained through life with the people of this community. He loved us, he gloried in our history, and his great desire was to make a lasting impress upon our future. He remembered that the boys of the nation fought the War of the Rebellion, and his great desire was that the boys of the present day and of the future should be prepared to do well their part in perfecting and carrying out the work of the fathers. 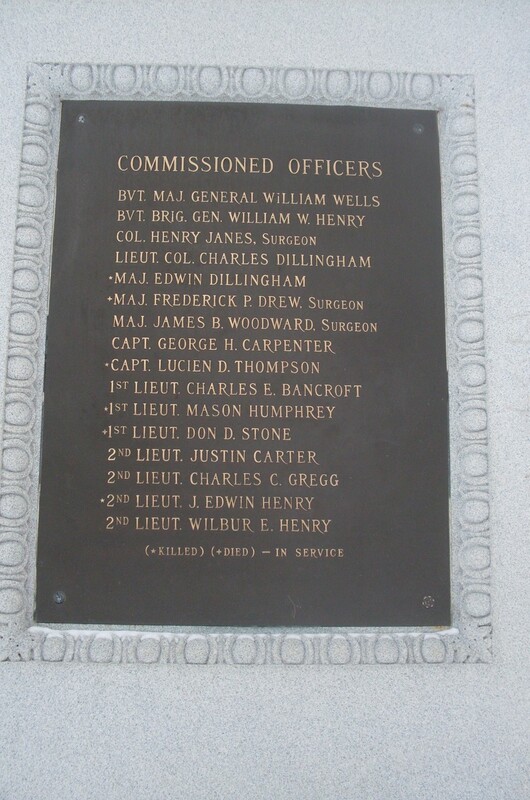 It is an astounding fact that out of the 2,672,341 men constituting the Union armies during the war between the states, 2,159,798, or 81 per cent., were under twenty-one years of age when they enlisted, and that of this number 1,151,438—43 per cent.—were under eighteen years of age. The miracle of the nineteenth century was the almost instantaneous development of these boys into strong, rugged, thoughtful, determined men, when the developing powers of great responsibilities were laid upon them. No one remembered this fact more perfectly than Mr. Henry, and no one comprehended more perfectly the importance of having succeeding generations equally well equipped for great national exigencies. 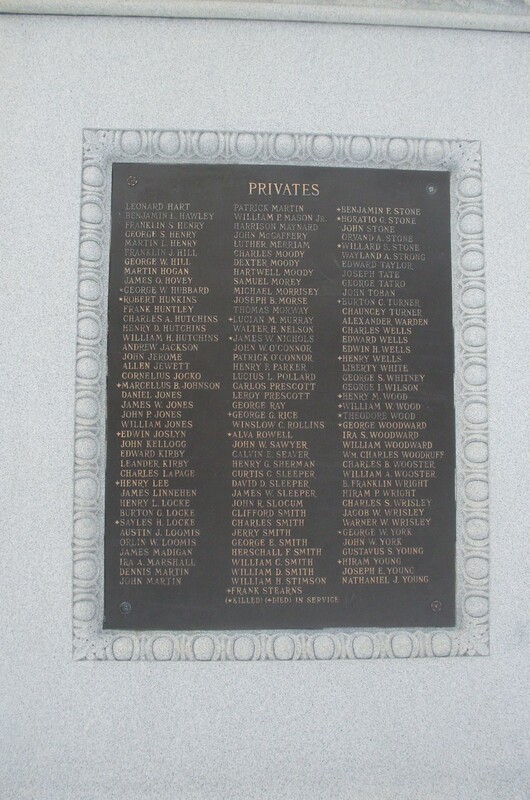 His generous and patriotic action in erecting this monument was born not alone from a desire to honor those who had been his comrades in that great conflict, but in placing it in the grounds of the public schools, he hoped that countless generations would daily look upon it and derive inspiration from the record it discloses. So strong was his interest in those who are to succeed us in the responsibilities of citizenship that even when upon a bed of suffering and when facing that great change in which the mortal puts on immortality, he asked me to impress upon the heart and mind of this audience to-day the value of patriotism, of loyalty, of devotion to free institutions and the obligation that rests upon every community to keep alive the spirit of the fathers, and to impress it upon their children; and he was particularly impressed with the conviction that there should be included in the curriculum of the schools not only proper instruction in the elements of patriotism, but also in military tactics among the older boys, that there may be aroused in them an enthusiastic love of country and that there may be developed in them that military instinct which is so essential as an element of character in manly men and model citizens. 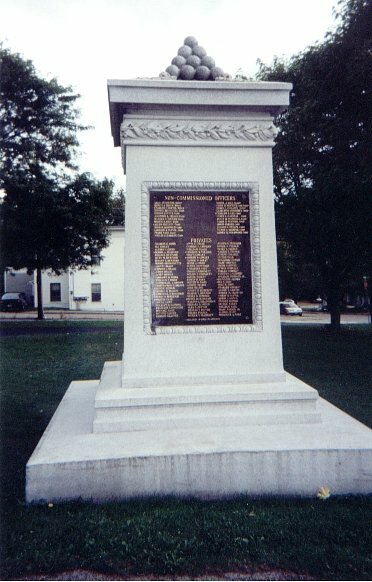 May the memory of his great generosity, his deep love for his native town and her people, and his patriotic interest in those who are to follow us, remain in the hearts of Waterbury's sons and daughters as long as bronze and granite endure, and God grant that such memory shall ever inspire them to a high conception and heroic defense of the great principle of liberty under law which the fathers established, and the maintenance of which made immortal the men of '61 to '65." 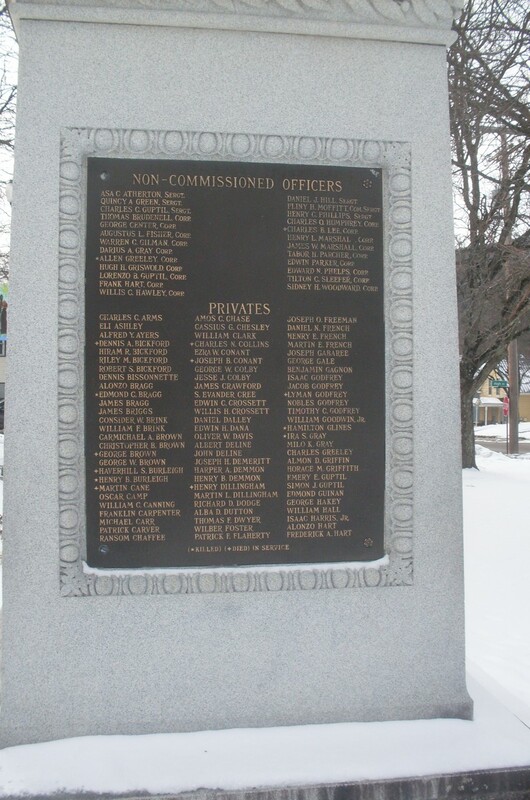 and the Monument he gave to his native Town of Waterbury, Vt.
Main photograph courtesy of Marquite Kadavy, panels courtesy of Maria Ward. Picture including William Henry Eldridge from Henry Genealogy. The Descendants of Samuel Henry of Hadley and Amherst, Mass., 1734-1790 and Lurana (Cady) Henry His Wife, (T. R. Marvin & Son, Boston, 1915), p 46.